What Do You Do When Your Toilet Won’t Stop Running? Running Toilet Repair is Much Easier Than You’d Think! Find Out How it’s Done. What’s more irritating than a leak in your home? Whether faulty attic insulation allows extra heat into your home, or a busted dishwasher drips water onto the kitchen floor, the frustration feels the same. So is the need for a reliable, immediate fix. Today, we’ll be talking about one of the most common frustrations in residential plumbing: a leaking toilet. Perhaps you’ve heard your toilet running randomly in the night. You may have even felt the effects on your water bill. 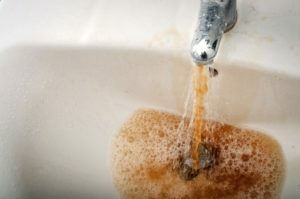 Before you call the toilet repair plumber, let’s figure out what you can do to stop the running water! Why Do I Hear Water Running in My Toilet? When a toilet runs amuck, nine times out of ten the problem lies within the tank. There are two primary portions of your toilet tank that you’ll need to investigate: the fill valve and the flapper. The good news is any problems here can be fixed easily, without breaking the bank. If you need to shutoff the water immediately (to prevent the bowl from overflowing), you can always turn off the valve located beneath the toilet tank. However, you’ll need to understand the cause of the running water to understand how to fix it. To fix the problem in the back of the tank, you’ll either have to replace the flapper, adjust the fill valve, or replace the fill valve. We’ll get into the details in just a little while. Many homeowners experience a running toilet at some point in their lifetime. While the porcelain around your toilet is made to last, the parts inside won’t always do the same. However, replacing the toilet altogether is rarely the practical (or cost-effective answer). Repairs – you can fix the problem within a couple hours. Repairs – costs are typically kept under $100, unless you hire a professional. Repairs – you don’t have to go through removing and disposing the toilet. Replacement – the toilet must be disconnected, disposed. Replacement – piping may need to be adjusted to fit your new toilet. Replacement – you have to purchase a new toilet and have it installed. Replacement – you won’t have to deal with fixing a running toilet, for awhile. 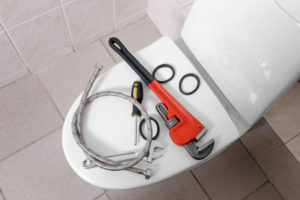 Considering the ease of repairs and the amount of money you could save, fixing the toilet is typically the best option. However, if you are already looking to remodel, you could save a little money by skipping repairs and shutting off supply valve. Why Does My Toilet Randomly Run for a Few Seconds? There is likely a problem with the flapper, which allows water into the toilet bowl. A damaged or debris-blocked flapper slowly allows water to seep into the bowl, until the water level reaches a threshold. The float arm or buoy drops in response to the lower water level and briefly activates the fill valve. Thus water rushes in to refill the loss for just a few seconds. How do you fix a toilet that runs randomly? First, confirm that the flapper is truly the problem. Examine the chain that lifts the flapper and make sure the tension isn’t too strong. This can cause the flapper to pull up when nobody’s using the toilet. There should be a little (and just a little) slack on the chain. You can make adjustments if necessary. If pressing down on the flapper itself with a gloved hand or a tool stops the drip, you’v confirmed a deformity the problem is indeed the flapper. Shut off the water supply, drain the tank and replace the damaged part. You can bring it with you to the local store to ensure you get a matching replacement. Why is My Toilet Running All the Time? This is a costly problem that’s actually very easy to fix! If the water in the tank continues to climb until it spills into the overflow pipe, that means there is probably an issue with the water height setting. In rare cases however, the fill valve becomes too damaged to function properly and needs to be replaced. How do I get my toilet to stop running? To adjust the water level, you need to fix the settings on the float arm or buoy. On modern valves with the float buoy, you’ll typically find a screw on top of the arm connecting the buoy to the valve cap. On systems with a float arm, you’ll find the adjustment screw near the cap. Should the whole fill valve require replacement, turn off the supply valve and empty out the tank. Family Handyman has a helpful video that shows you exactly how to do this! Be sure to take precautions to avoid spills when you remove the fill valve. That’s basic toilet repair for a running toilet! If you run into more complicated problems, or you have difficulties with completing the repairs yourself, our residential plumbing team at Sunset West Plumbing & Rooter Inc. would love to help. Simply give us a call at __PHONE__ and schedule your appointment! Posted in Uncategorized on February 14, 2019 at 8:54 pm by Sunset West Plumbing & Rooter. 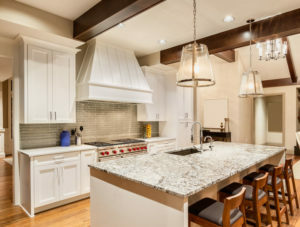 When is The Best Time For a Remodel? Let Us Help You Plump Your New Kitchen. There really isn’t ever a bad time for a remodel to be done on your home. If you want to make a change in your home, we say go for it! However, if you are ready to make some changes, big or small, there are a few good reasons to do so. One of them is if you are wanting to sell your home at top dollar price, you may want to make appropriate changes to reflect whatever price point you are having. Another good reason is if you’ve lived in your home for a while and no amount of decor is making you happy. This is usually a good sign that you need a major change. Think about changing your sink out to a farmhouse style or gutting your bathroom to add a bigger shower or bathtub. We offer remodel service that will help you along the way. Before you start busting down walls and ripping out toilets, you may want to take a peek at your roof to make sure you don’t need a residential roof repair before you get started. Bathroom – Bathrooms are a great place to start. Though a bathroom remodel can be a major undertaking, it can really change the look of a room and clean up and old space. Living Room – This is usually when a wall separates the living room from another room. Consider taking a wall down or adding a bar. Kitchen – This is where most people choose to spend their money and for good reason. Even small changes like adding a new stove or plumbing for a dishwasher if you don’t have one, can make a space more functional. Backyard – Consider adding a wet bar or extending the patio out here. If you need help with a remodel service in West Los Angeles, CA, call Sunset West Plumbing & Rooter Inc. at 310-477-0772 and we will be happy to help you with your plumbing needs. Posted in Uncategorized on October 16, 2018 at 7:01 pm by Sunset West Plumbing & Rooter. You Never Have To Deal With A Damaged Landscape Again With CIPP! Leaks can be devastating to your home as they allow water to affect the structure, growing mold, mildew, and wood rot in your property. When you suspect a leak, you may consider calling for California roof inspections or for a plumbing inspection. At Sunset West Plumbing & Rooter Inc., we are always available to get to work on your plumbing repair needs. We utilize CIPP to repair damaged pipes and get your plumbing flowing again. CIPP or cured in place pipes is technology that allows our plumbers to place and form a new pipe in your plumbing without having to damage your walls or landscape. We start with a camera inspection to identify the source of the leak. Once found, a felt liner is placed in the plumbing while an epoxy mixture is added between the felt and the plumbing wall. Once saturated, our plumbers use a bladder to let the epoxy and mat cure. It’s just that easy! How Long Does CIPP Last? A frequently asked question when it comes to these pipe liners is whether or not they last a long time. The good news is that they do indeed last for up to fifty years! This means that you can rest easy when you get a CIPP liner knowing that your plumbing will work for a long time. Need to get started on a leak repair or need a CIPP liner in West Los Angeles, CA? Sunset West Plumbing & Rooter Inc. is your source for quality plumbing repair. We offer a wide range of services designed to keep your plumbing flowing. Give us a call today at (310) 454-2010. Posted in Uncategorized on September 13, 2018 at 9:09 pm by Sunset West Plumbing & Rooter. There are a lot of things that can happen when you own a home, unfortunately, a pipe bursting, is one of them. This kind of problem doesn’t usually happen unless your pipes freeze. There are precautions that you can take though to make sure that you don’t end up having to have a pipe replacement. Not only is that a huge pain for you, but it can be an even worse pain on your wallet. These kinds of things can do a lot of damage and it is important to make sure that you take the proper steps to avoid this from occurring. 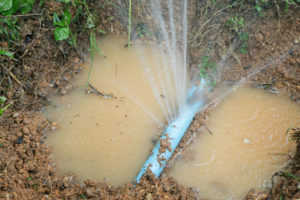 If a pipe bursts, it can affect other parts of your home like your HVAC system, leaving you with major repairs or having to get an air conditioner replacement. If you’ve ever had a major cleanup to take care of, a pipe bursting in your home is no different and it will be a process to get cleaned up if you don’t put a stop to it as soon as you can. Pipe Bursts Can Cause Damage Fast! Turn Water Off – As soon as you suspect or see a sign of a pipe burst, turn off your water. This will at the very least keep more water from rushing into your home or flooding the ground. Find Pipe – If you don’t already know, try to find where the pipe has burst so that you can tell the plumber. Call a Plumber – You will want to call a professional plumber right away to get the problem fixed. Cleanup Crew – If there is pretty significant water damage, you may want to consider calling a professional to clean up the water or buy a lot of towels. When you need a professional plumbing team that you can count on in West Los Angeles, CA, call Sunset West Plumbing & Rooter Inc. at 310-477-0772. Most plumbing repairs are better left to the professionals. However, there are a few projects that even the most novice handyman can complete. These projects require few tools and usually come complete with easy-to-follow instructions. 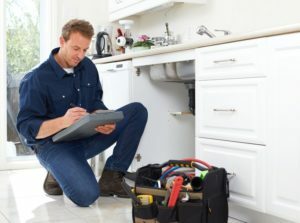 Many Plumbing Repairs Can be Made Without a Technician. A running toilet is caused by one of only a couple of problems. Many times the float or float arm is bent or damaged. Replacing this simple part will eliminate the problem. Sometimes, the fill valve is leaking and will cause your toilet to run. Tightening the valve with the help of plumbing tape will help reseal it. If you have a faucet that’s leaking from the spigot, replacing the washer inside the cover will typically fix the problem. If your faucet is leaking from the base, it’s usually easier to replace the entire faucet. Multiple choices are available at home stores and come with easy-to-use instructions. Most faucets sold today come equipped with all the hoses and equipment you need. If you have ever had a subpar shower head, you know how satisfying a new, updated model can be. Luckily, this is also one of the easiest plumbing projects to complete. Simply unscrew the old showerhead, reline the threads with plumbing tape, and screw on the new head. 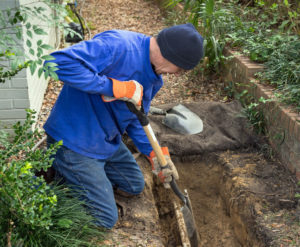 While there are plenty of do-it-yourself plumbing repairs around your home, sometimes a professional is a great idea. 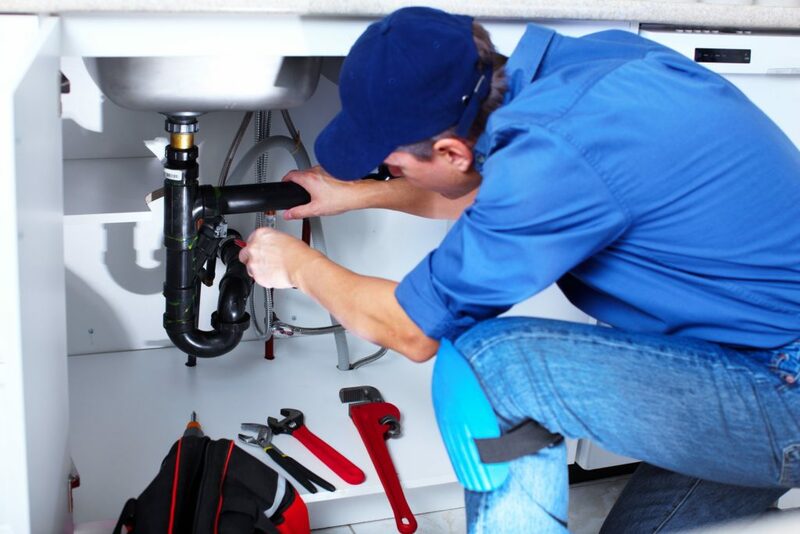 Whether you are not DIY inclined or you simply don’t have the time, the Sunset West Plumbing & Rooter Inc. professionals are here to complete any type of plumbing service you need in West Los Angeles, CA. Call us today at (310) 454-2010. Use These 3 Tips to Get More Out of Your Regular Plumbing Inspections and Enjoy the Savings! Are you a savvy homeowner? Then we have the perfect, untapped resource for planning ahead and potentially saving thousands of dollars: plumbing inspections. Most homeowners have no idea how how or when to use them. Here are three expert tips to help you take advantage of your next inspection. Expert Tip #1: Exploit Your Serviceman’s Expertise. Your inspector is the ultimate untapped knowledge source for the crafty consumer. Think about it: you already have a trained, certified, and experienced plumbing professional in your home. Why not take advantage of their expertise? Start asking questions about potential upgrades and upcoming repairs for your home. This way, you can start planning ahead and saving for water and energy-efficient fixtures, years in advance. Expert Tip #2: Schedule Often; Don’t Wait for an Emergency. How many Americans delay or indefinitely postpone their inspections until a plumbing emergency pops up? Too many. The smart consumer knows that inspections are preventative tools, not reactive. Start scheduling your plumbing inspection at least once a year, especially if your plumber offers them for free. You’ll avoid more major repairs this way, and prevent emergency repairs from diving into your pocketbook. Expert Tip #3: Save Big With Second Opinions. Have you ever had a repairman recommend an expensive replacement, only to have a second expert fix the problem with simple repairs? You’d be surprised how often it happens! If you think a plumber might be trying to take advantage of you, simply schedule a second inspection with a trusted plumber. You may find yourself saving hundreds, even thousands of dollars. Take these tips and become an even smarter homeowner! Tell us below if you’ve ever experienced a “big savings” moment by getting a second opinion. For questions about your plumbing, or to schedule one of our plumbing inspections, give our team a call at(310) 454-2010. Springtime is the time for many homeowners to do a little “spring cleaning” and maintenance around the house. It is also the perfect time for homeowners to schedule an inspection and check their plumbing system. Keeping up regularly scheduled maintenance on a yearly basis is essential to protecting your home from leaks, water damage, and clogged drains. 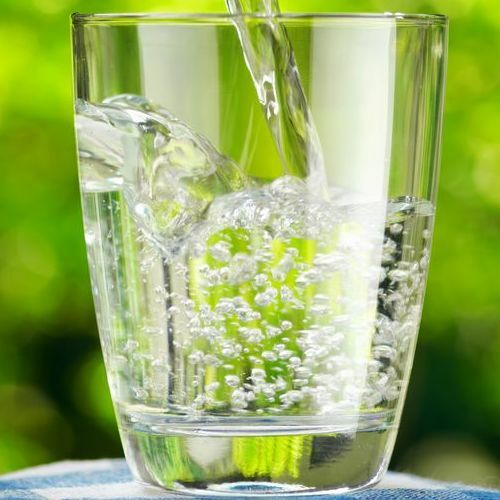 Here are a few simple tips from the pro’s at Sunset West Plumbing & Rooter Inc. to help keep your home’s plumbing system functioning at optimum levels. Generally, plumbing professionals recommend maintaining your home’s water heater set at 120 degrees. Any higher temperature setting can result in scalding and shorten the lifespan of your home’s water heater. 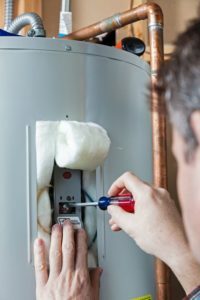 Water heaters last around 10 years, so if your water heater is older consider having your water heater repaired or replaced. 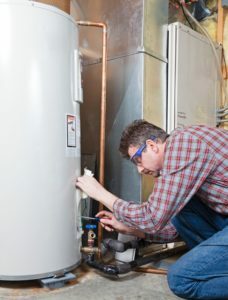 Also check your water heater for any signs of damage, leaks, rust or corrosion. Keep a lookout for water accumulation around the control panel and if you see any signs of wear, contact our team of experienced plumbers at Sunset West Plumbing & Rooter Inc. by calling (310) 454-2010. With the temperature thawing, it is important to watch your outdoor pipes and sprinklers for possible signs of water leaks. If you turn on your hose and notice a water leak in your home this could be a sign that one of your pipes was damaged during the winter. Get underneath your home’s kitchen sink and check all the supply hoses that run into your appliances, such as the dishwasher. Be sure to take note of any water puddles, mold, rust or other warning signs. 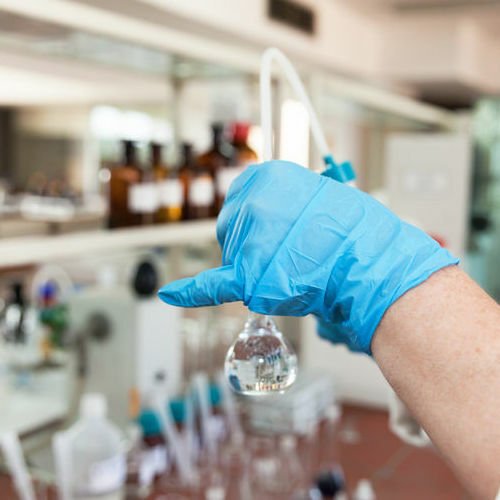 To test your home’s toilet for leaks, pour food coloring dye into the tank on your toilet. If the bowl water starts to turn the color of the dye within an hour, this could be a sign that your toilet has a water leak and will need to be repaired or replaced. Call Sunset West Plumbing & Rooter Inc.
At Sunset West Plumbing & Rooter Inc., our team of professional expert plumbing technicians can repair any leaks, perform inspections, and maintain your plumbing system in the West Los Angeles, CA area. To schedule or make an appointment, contact us at (310) 454-2010 today! Posted in Uncategorized on August 8, 2018 at 8:54 pm by Sunset West Plumbing & Rooter.